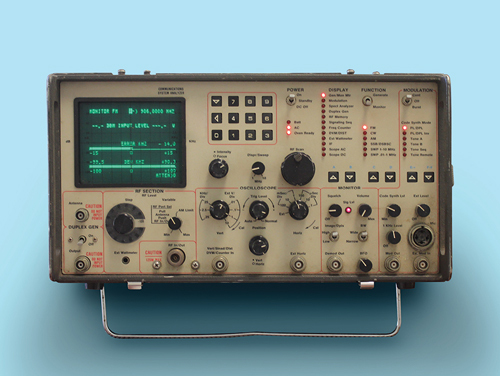 Our heritage in LMR test equipment dates to the late 1970’s and the industry’s first all-in-one test solution: The R2001. 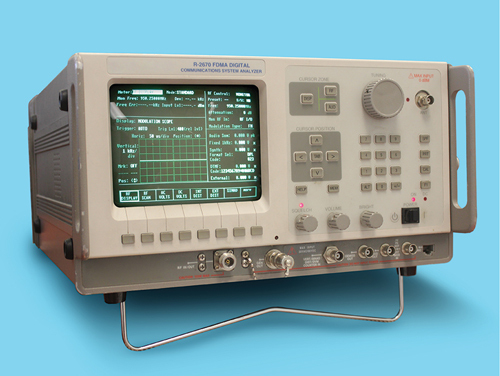 From then to now, our products have set the standard for LMR test equipment. The R2600 series, introduced in 1989, was the industry standard for nearly a quarter-century. We followed up a few years later with the R2670, which was the first test set to support both APCO Project 16 and Project 25. And in 2004 we invented the concept of automated testing and alignment with our revolutionary “AutoTest” option for Motorola radios. In 2009, we introduced the first generation of today’s market leader: The R8000. The first full-function service monitor light enough to also serve as a portable tool, it too quickly became the industry benchmark. 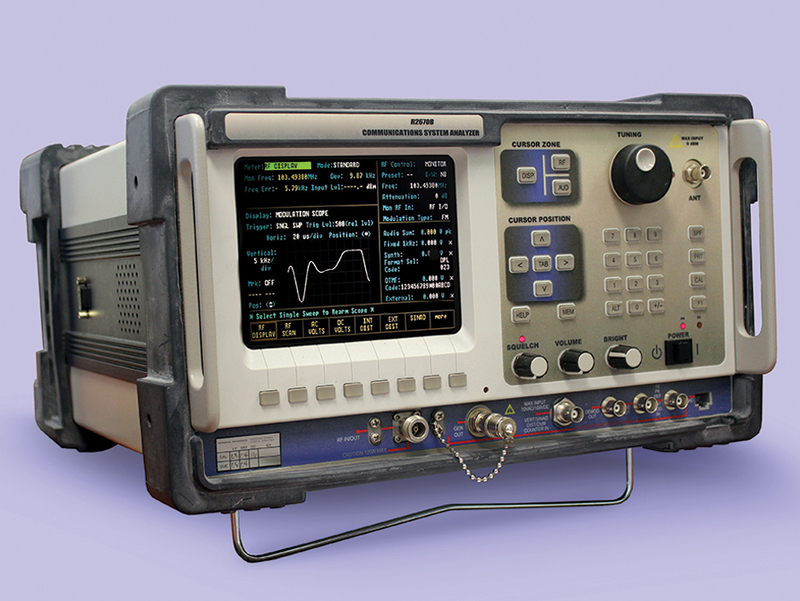 In addition to being the only portable system analyzer, it was also the first LMR test instrument based on software defined radio architecture. From inventing the LMR service monitor to inventing the first portable service monitor, we’ve been on the leading edge of LMR testing for decades. And now, with the introduction of the R8100 we are leading the way again with the first fully-functioning service monitor with an internal battery. 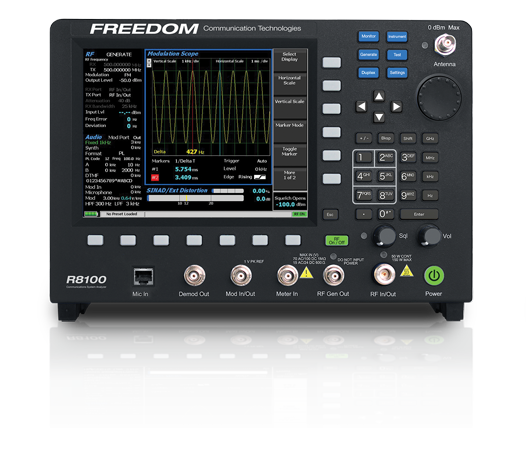 The addition of the R8100 extends the Freedom Communication Technologies product family to customers with a critical need for portability. With its internal field-swappable battery and MIL-SPEC shock and vibration rating, it offers the ultimate in portability without sacrificing the industry-leading specifications of the R8000 platform. 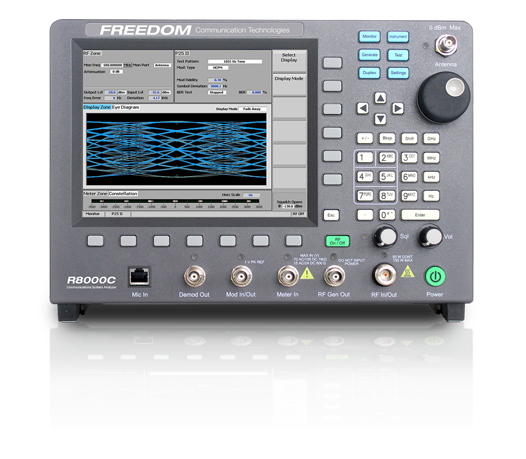 Whether your needs include sophisticated digital infrastructure maintenance or just traditional analog LMR, Freedom Communication Technologies offers a product with a feature set and price point to meet your needs. R2670A introduced. The R2670 was the first analyzer to test both APCO Project 16 and Project 25. R2670B introduced – the first analyzer with full color LCD display. “AutoTest” – The first automated test and alignment software for LMR radios – is introduced. 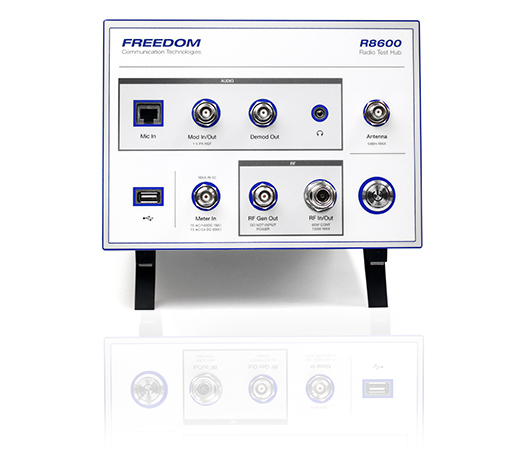 R8000A introduced – The first fully portable, software-defined LMR test set. R8000B introduced. The first LMR service monitor with lab grade spectral purity. R8600 Radio Test Hub Introduced. The ultimate cost-effective radio production tool.